Learn how to make a dress for girls that will be passed down for years to come. You can learn how to make clothes for your little baby with this Vintage Heirloom Dress. Inspired by vintage designs and fabric, this piece includes a tiny bodice embellished with buttons and a cute collar. 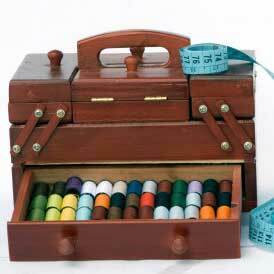 The instructions provide photos so that your sewing experience is as easy as possible. Pass this dress on to create your own legacy. Whether you are looking for a cute frock for baby’s first picture day or just need a precious dress for a special occasion, this DIY dress is sure to do the trick. Did you know that in the United States, children before the 1890s predominantly wore clothing made by their parents? Nowadays there are designers and stores with ample amounts of clothing. But there’s something special about sewing a dress by hand. It may be intimidating to learn how to make a dress, but with this free sewing pattern you will be making them regularly! If you like this vintage sewing pattern, you'll love Fashion of the 1950s: 41 Vintage Sewing Projects. Did your mother or grandmother make their child's clothing? Oh goodness me, I am sure that my granny would have sewn dresses like this to dress my mother in! In fact I'm sure there's a photo somewhere..... 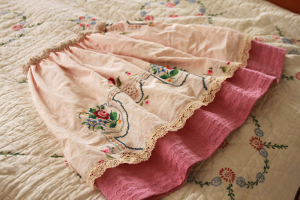 It's so sweet and pretty and the pattern really has stood the test of time. How true that all the good designs come back again and again. Some of the not so good too, haha! This pattern is just darling and would make a great gift for a new born baby. I always think a handmade gift for a new baby is rather special. I usually knit my gifts but this has inspired me to sew one for a friend next time. Don't worry if they're a little big - parents don't mind having a stock of clothes for baby to grow into. This is phenomenal, It is great!!! Hope to try to make it one day I just made a bitty baby dress today, although it said for 0-3 mths. it was tiny, but it still could work for a baby doll. Where are the vintage clothes from the 1950's for men?